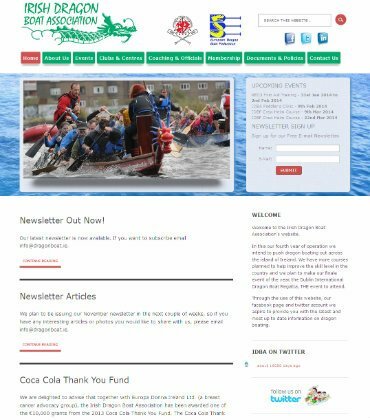 We were commissioned to deliver a new Website Design for The Irish Dragon Boat Association. The Irish Dragon Boat Association (IDBA) is the National Governing Body of the sport of dragon boat racing in Ireland. The IDBA is responsible for all aspects of the sport from community development through to managing Irish teams racing abroad. Our brief from the client was to deliver a new Website Design which would provide IDBA with a search engine friendly Website Design with an easy to use content management system so they could communicate with their members online.